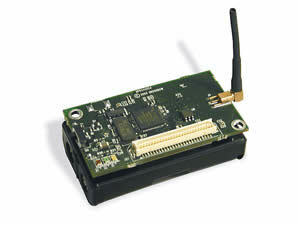 Wireless Sensor Networks (WSNs) are distributed systems made of tiny devices each equipped with a low-power processing unit, a wireless communication interface, and sensing or acting functionality. By embedding processing and communication within the physical world, WSNs enable low-cost, fine-grained interactions with the environment they are immersed in. Several applications have been investigated in this field, ranging from habitat monitoring to tracking of moving objects. These initial prototypes, supported by recent reports from prestigious market research firms, showed a huge potential for WSN technology. In TRITon, WSNs will be used to implement distributed sensing of light levels inside the tunnel. These data will provide the necessary inputs to the adaptive lighting functionality. In this scenario, WSNs will allow for unprecedented levels of granularity of information gathering. In addition, the ease of deployment and low maintenance costs will help in achieving the ultimate goals of the TRITon project.